The 5th Annual U.S. National Bonsai Exhibition returns to Rochester this September. More than 2,000 people are expected to visit Rochester Regional Health Total Sports Experience September 10 & 11 to see over 300 bonsai displays. The event features Over 100 different species and cultivars shipped into Rochester from the Pacific Northwest, Bay Area of California, Texas and Florida. Visitors will meet 148 exhibitors from 34 states and two provinces from Canada. Ten botanic garden collections will also be on display. 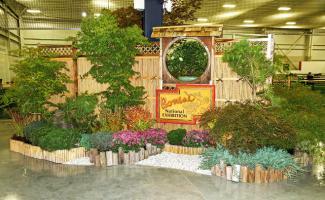 Guests will see lectures, demos and exhibitions from some of the finest bonsai experts in America. Including Bill Valavanis, the #1 leading bonsai teacher outside of Japan and local Rochester resident. You can read more about Bill Valavanis on his blog.